A bit late (with the reason of being lost in translation) we are glad to introduce one more winner of our Free App Promotion - inviting you to enjoy fun and active tour in native Colombia! 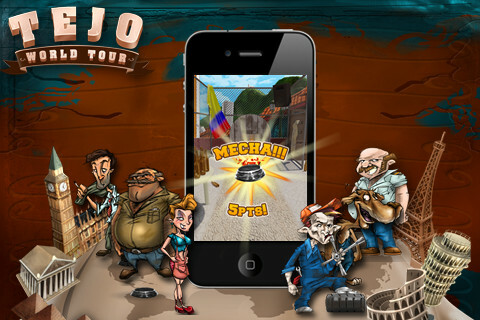 The app brings Tejo, the sport that has gone beyond centuries, to hands, making the playing process more mystic by magnificent views of Colombia! Different levels recreated in the most famous in the world. Compete with artificial intelligence of your iPhone or iPad. The further you explore the levels, you appear in more and more different and famous places of the world as different levels are recreated in almost all around the globe. For more challenge, you are also able to compete with artificial intelligence of your iPhone or iPad.The app is f course available for free in Apple App Store and is compatible with your iPhone, iPod touch and iPhone running iOS 3.1 or later. To become the next winner and see the review of your app on our blog, get started now, check out How-to Promote Your Apps On iPhone Blog For Free !